A space to test the experiential futures of retail. Shopping is in crisis. This is true everywhere; it is particularly worrying in a city such a Singapore, where urban life is unusually associated with retail (and the various knock-on activities that retail supports). 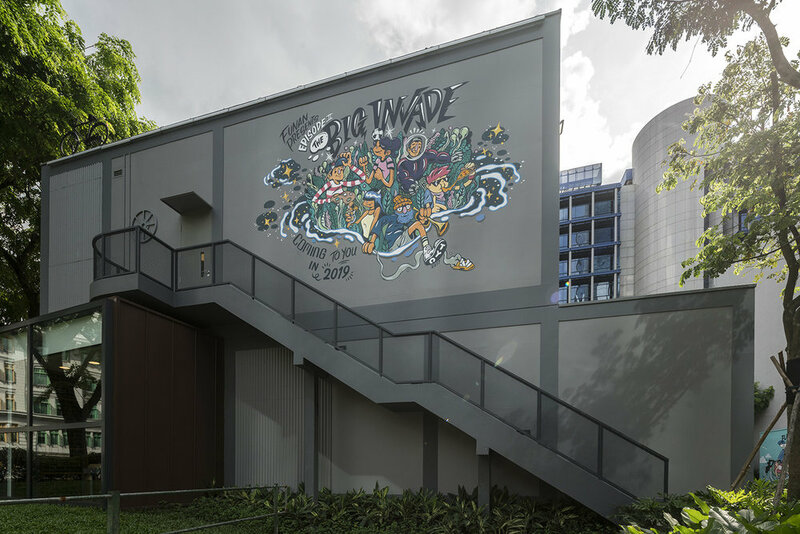 No one knows this better than Capitaland, a company that has remained on the cutting edge of retail development for decades. They put a frank question to us: what do shopping centres become when shopping itself appears to be going elsewhere: online, or to standalone boutiques. 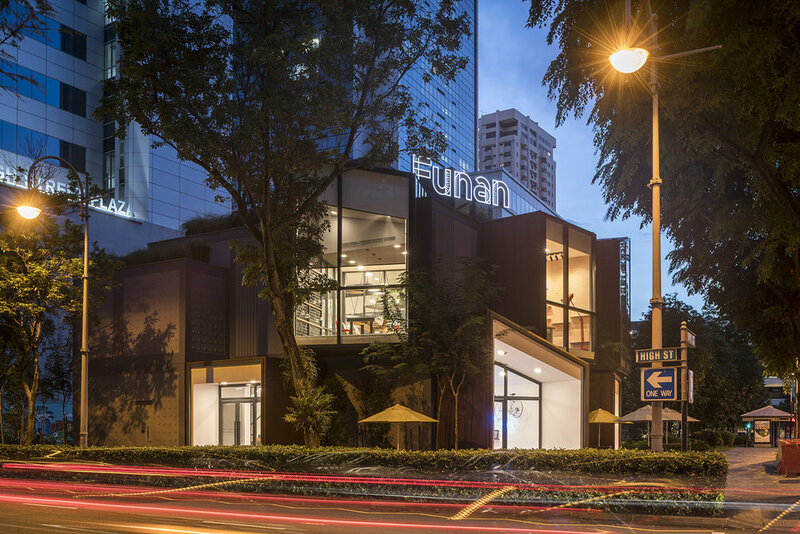 While the new Funan mall is under construction, our showsuite is intended to explore exactly this question: what are the social and experiential potentials of urban retail? To what extent can shopping be a secondary function of the shopping centre? 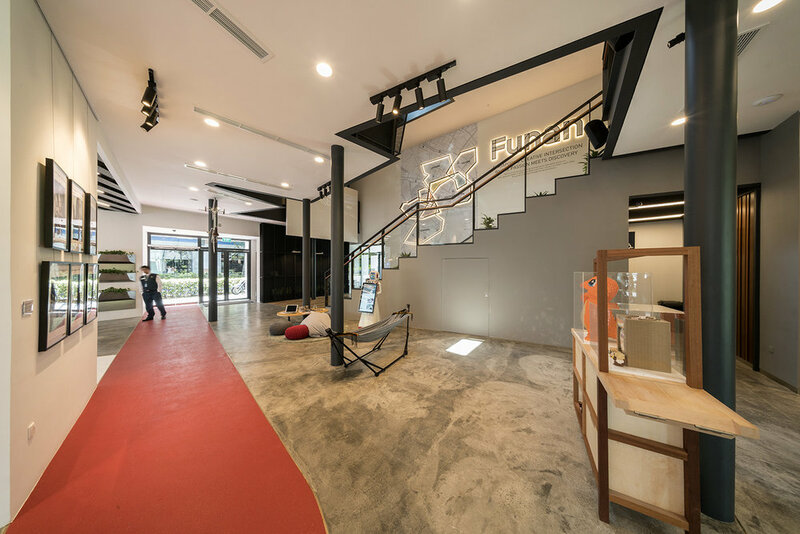 As such, very little of Funan's showsuite is dedicated to sales (of the building, or anything else). Instead, it is programmed with a cafe, maker and craft spaces, a multi-purpose auditorium, galleries and pop-up market areas. 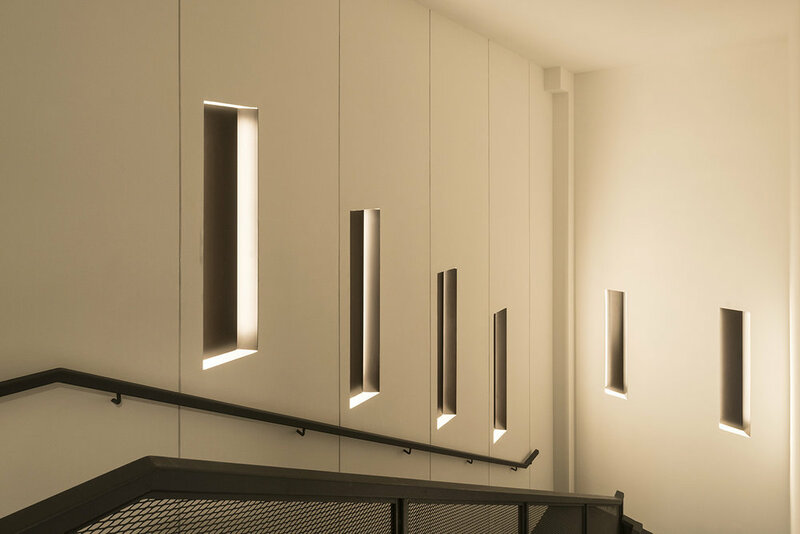 Under the creative watch of Shophouse & Co (our programming collaborators), the building has hosted concerts, lectures, farmers markets and craft meet-ups. 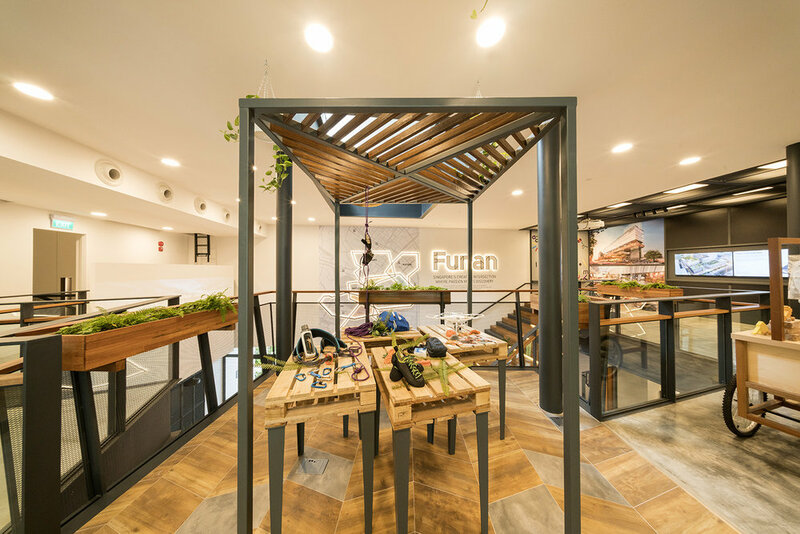 As such, the showsuite simulates a portion of the eventual Funan mall, where social activities and interest groups will largely take the place of shops and eateries.